Wednesday March 30, 6 PM. 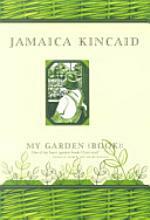 This month’s title is “My Garden (Book)” by Jamaica Kincaid with discussion leader Rachael Cohen. This is the 3rd book in our “Farms & Gardens” series which is sponsored by the Vermont Humanities Council and hosted by the Arvin A. Brown Library of Richford and the Montgomery Town Library. This meeting is also made possible by support from the Covered Bridges Garden Club of Montgomery. Books for this discussion are available at both libraries and will take place at the Montgomery Library. Rachael Cohen is a freelance editor specializing in environmental and regional studies. She has a Bachelor of Arts in English from Cornell University and a Master of Science in Environmental Education from the Audubon Expedition Institute/Lesley University. She teaches literature and creative writing for the University of Michigan’s New England Literature Program, held each spring at a camp in Maine, as well as offering Elderhostel classes in regional literature and nature writing.